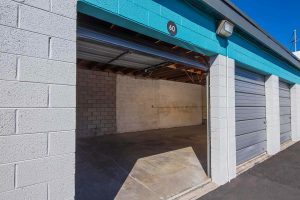 Self-storage facilities offer great environments for your belongings during a transition, they are ideal for storing business-related items, and they are the perfect solution for anyone looking to declutter a home. Storage units should also be maintained, cleaned, and occasionally reorganized to ensure that your items remain in good shape and prevent them from getting too dusty or lost. Storage spaces are great in that things that need not be cluttering in living spaces or offices can be conveniently stored elsewhere until you actually need them. This reduces the visual clutter in our spaces that can affect our moods and decrease our productivity. Sometimes, it can be a little too easy to allow more and more items to fill the space. Spring cleaning your storage unit keeps things fresh in the space and fresh in our minds. With the first day of spring approaching, we wanted to share Part Two of our series on Organization. These tips from experts will help you stay on top of your spring cleaning and make the best use of storage spaces. Get in the right mindset: It’s important to focus on the feelings of relief and confidence that come from a good spring cleaning because that helps to create a positive perspective towards doing the work. And sometimes, it also helps to incorporate some accountability. The right mindset may be one of such determination that it involves setting a date and inviting some friends to increase the likelihood of things getting done. This extra scheduling step can push us past the “I should probably get around to this someday” to the “Let’s do this!” mindset. Make it a purge: Of course, if we’re going to clean, it only makes sense to get rid of things as we go. It’s a perfect time to sort belongings into piles of Keep, Discard, and Donate. Those of us who find it hard to part with things may benefit from an in-between step: the Wait-and-See box. For things you are considering getting rid of, but are not sure about, put them in a box for a review next time. By next time, if you haven’t needed any of the items, either discard or donate them. Rotate the contents: Self-storage facilities recommend that units be cleaned, dusted, and rotated annually. By this, they don’t mean rotating items into a new unit. Rather, it is about really getting into the middle of the storage area, moving boxes, dusting things off, purging unneeded items, and re-distributing weight. Repositioning at this time is especially important with anything stacked, and re-folding can help keep rugs or textiles from getting permanent creases. Adding in this kind of a “rotation” aspect to spring cleaning ensures that everything gets touched. Unmarked boxes get labeled, and we finally get to see what’s been under that tarp in the corner. Many people do this by taking everything out first. Then they can sweep and clean before sorting and re-assembling the space—likely with fewer things. This is an excellent way to rotate. Also, when rotating, consider filling unused space in dresser drawers or empty freezers with items. Just be sure to label the outside with what’s inside. Think about materials: The damp, cold weather of spring and the impending heat of summer can both be pretty hard on materials stored in self-storage facilities. Paper documents not kept in plastic bins can curl up or wilt. If not kept in vacuum-sealed bags, clothes and linens can get moldy. Wood furniture or instruments can swell, and fabric of almost any kind can develop mildew if not properly covered. Spring cleaning offers an ideal opportunity to make sure that plastic storage and coverings are put to good use. Re-assemble with a plan: A plan is a written map or drawing of the unit that indicates where things can be found. Storage items can be grouped by person, room, or importance. Items needed often can be grouped near the front. Larger items, like equipment (sports, gardening or other), can be located where there’s room to store them safely. Boxes can be organized so that there is an aisle in between with labels faced out where they can be seen. Some of our customers keep a diagram of their storage spaces on a clipboard near the door for easy reference. Taking photos of each wall is also recommended. These photos on your phone or in a file at home can be referenced before having to make a trip to the storage unit to see if something is in there. We hope these expert storage tips help you in your spring cleaning—or any time you are cleaning and reorganizing your storage unit. Contact Bargain Storage for all of your questions about storage unit organization, renting a storage space and much more. View our infographic below to learn more about the history of storage, storage types and organizational tips.